Zach Even-Esh teaches young athletes how to use the world as their gym, while still saving time for heavy barbells. Here's his plan to help you toughen up and get comfortable being uncomfortable! If you ever played high school sports, Zach Even-Esh is the coach you wish you had, rather than that flat-topped stereotype making you quarter-squat double your 1RM at all costs. A mix of old-time strongman, teacher, and drill sergeant, Even-Esh has built a fanatical following in recent years, both online and in his home state of New Jersey, where he operates two Underground Strength gyms. His specialty is making young athletes stronger, tougher, and longer-lasting than their competition by helping them "get comfortable being uncomfortable." If an object is heavy, mean, and hard to manage, he&apos;s got a use for it. 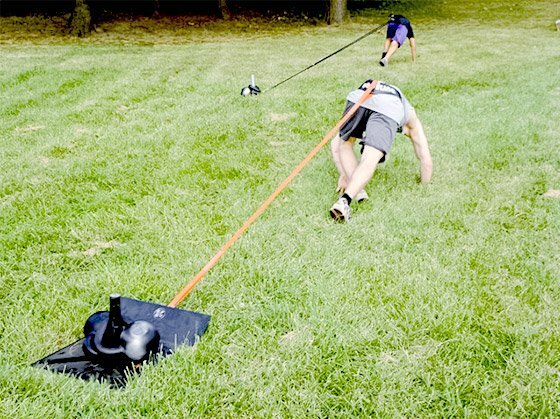 From barbells to sandbags, truck pulls to picnic-table presses, everything has a place. It may come as a surprise, then, to learn that Even-Esh is also a former bodybuilder—and a serious one at that. He competed throughout his teens and early 20s, even winning the title of Young Mr. Israel in 1994. He was inspired to lift his first weight by Arnold Schwarzenegger&apos;s "Encyclopedia of Modern Bodybuilding," and continues to be inspired by the whole-lifestyle approach to athletics that "The Oak" advocated. This abiding passion for the Golden Age is evidenced by the title of Even-Esh&apos;s first print book, "The Encyclopedia of Underground Strength Training." Like Arnold&apos;s classic, this is a training reference with many points of entry, personal stories galore, and programs for every level of athlete. 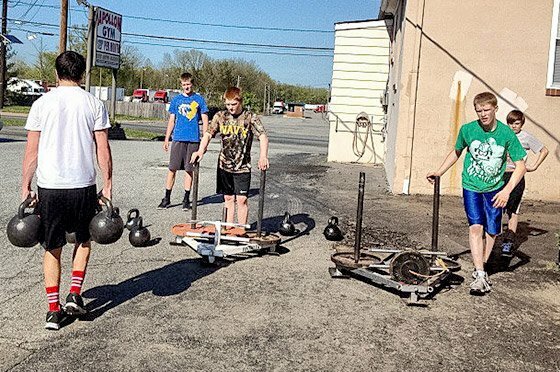 Want to flip tires, move heavy kettlebells, or hoist rocks? It&apos;ll show you how and give you the workouts, with Even-Esh&apos;s athletes as the models. Shortly after the release of his book, Even-Esh told us about his long, complicated journey to the underground. You followed all the classic bodybuilding rules for years. But in your book, you say, "We don&apos;t follow any rules. We&apos;re underground." What&apos;s the reward? When I was a competitive athlete [in wrestling and grappling], I trained on a bodybuilding split, and although I looked big and strong, the application to my sport was not very effective. I looked bigger and stronger than my opponents, but I was injured on a regular basis. So when I began training athletes, I stopped feeling like a slave to what the other so-called experts insisted should be done. One day I was asked, "Describe your training." That was 2004 or 2005, back when other coaches were using stability balls, training on one leg, standing on wobble boards, and so on. At that time, those were the rules of functional training, but that style of training didn&apos;t resonate with me, and I felt like I was a sellout if I blindly accepted the norm. I felt more connected to what I saw in "Rocky III" and "Rocky IV." I wanted the athletes to train like gladiators, and to get comfortable being uncomfortable. 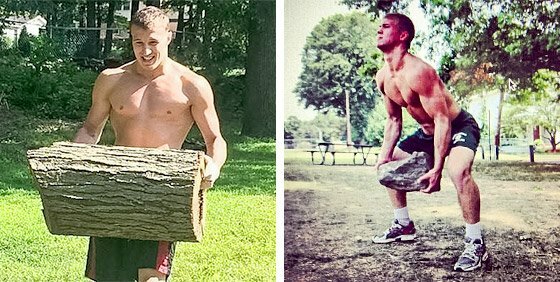 I was using sandbags made from Navy duffle bags, and tree logs for carrying, squatting, and lunging. I was training outdoors year-round, even during the winter, using stones from my backyard. All I cared about was getting results for the athletes I trained, and I saw them benefiting greatly on a physical and mental level by getting out of the gym and training with odd objects as well as with free weights in my garage gym. The combination proved to be very effective. "All I cared about was getting results for the athletes I trained, and I saw them benefiting greatly on a physical and mental level by getting out of the gym and training with odd objects as well as with free weights in my garage gym." Picnic tables. Rocks. Logs. Tires. Hills. Playgrounds. I imagine you rubbing your eyes one day, looking around, and saying, "Whoa... The answer has been all around me all along." It was a few things that pushed me to get away from a traditional gym setting. The atmosphere of these gyms were sucking the energy out of me. Crappy music, gym managers complaining if you dropped weights, rules posted everywhere about no chalk, no this, no that. Guys were looking in the mirror fixing their hair, popping zits. I was going a bit nuts and felt like all the rules and the crappy atmosphere were killing my passion. I also loved "Rocky" and watched that movie over and over again, which inspired me to open my mind up to training outside of the gym. I decided to buy some used equipment through classified ads, and bought a 300-pound weight set for $99. I also began connecting with [strength legend] Louie Simmons almost weekly—I would call him and talk training. He got me out of thinking in traditional sets and reps, and talked about doing things like dragging sleds for 10 minutes nonstop or slamming heavy med balls for 5 minutes. I stopped thinking in a rigid fashion, and the athletes&apos; results were all the proof I needed to know that I was on the right path. Perhaps most inspiring to me was that I was tired of getting injured. I questioned how I could work so hard and be so strong in the gym, yet experience such a disconnect when I competed. My experiences and lack of success and pushed me to test something different. Trainers tend to talk in dualistic terms: show vs. go, strength vs. size, pretty boy vs. badass. How do these divided ways of thinking miss the point? The bottom line is that each athlete should be treated as an individual. Each of these methods has its place and time depending on the individual and his or her weak areas. For example, if I&apos;m training a skinny, weak athlete, simply performing bodybuilding movements to add muscle mass will also add strength. But I&apos;ll also incorporate bodyweight exercises and gymnastic drills into the warm-up to blend in power and athleticism. "If you plan to compete and perform, you need to blend in a variety of methods. I don&apos;t discriminate against anything if it delivers results." If you have no aspiration to compete in sports and obstacle races, or do anything outside of the gym, then a bodybuilding program is exactly what you need. But if you plan to compete and perform, you need to blend in a variety of methods. I don&apos;t discriminate against anything if it delivers results. Too many people are only kettlebells, only bodyweight, etc. If it delivers results, then I use it. Keeping an open mind is critical for achieving success as a coach. How does your background in bodybuilding still influence what you do? Coming from a bodybuilding background has been a huge asset for me. I understand the importance of technique, sets, and reps, as well as how to manipulate nutrition for added muscle or fat loss. All of this is critical to the success of my athletes. I recall seeing guys at the gym when I was 14, and then seeing these same guys when I was 18—and they never progressed. Their technique was off every time they trained. They never pushed the intensity and didn&apos;t have a strong mind-muscle connection. These are things I push for at the Underground Strength Gym and with everyone I coach. The technique needs to be spot-on. Then, connect the mind and the muscle as one. Be intense when you train. Focus on your nutrition, because without proper nutrition you will look like you don&apos;t even train. The term "encyclopedia" brings a single book to mind in the strength world. What does Arnold&apos;s book mean to you, and how does your book fit alongside it? The first time I came across Arnold&apos;s "Encyclopedia" was when I was in middle school, visiting my grandparents in Israel. My brother and I found the book in the town bookstore, and we sat on the floor reading and looking at all the inspirational photos until the owner closed down the store and kicked us out. My grandfather bought us a copy, and every photo inspired me beyond words. To this day, the book inspires me big-time. The Golden Era lifters were built like brick shithouses. They looked strong and truly were strong. Arnold&apos;s story also taught me a lot about life. I read his "Encyclopedia" and "Education of a Bodybuilder" throughout high school. His stories inspired me and helped me fight through times of depression and disappointment. 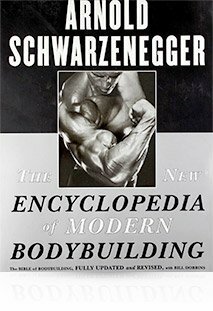 There are countless instructional books out there, but the last time I recall a book blending autobiographical stories and training stories was Arnold&apos;s "Encyclopedia." Arnold&apos;s stories of overcoming obstacles, finding Reg Park as a mentor, lifting heavy, breaking the rules of traditional workouts, and just the energy that exuded from that book inspired me to make my own book much more than just an instructional book. I wanted my book to have that same timeless feeling, a book that would never collect dust on a bookshelf or get ignored after scanning a few photos. Today, more than ever before, I see how the younger generation is essentially lost and confused. They see countless articles, supplements, and cool-named programs that pull them in one direction after another. I wanted to provide a solution for the younger generation, as well as inspiration and instruction for adults and coaches. How does your style of training feel different than bodybuilding? As a bodybuilder, I was always feeling like I was a throwback. As I got into my 20s, my style was more like the guys from the Golden Era. I was into heavy barbell rows, power cleans, squats, and benching. But back then, I followed some form of body-part split and did more volume for each muscle group. I still do this, and am incorporating more bodybuilding into my current workouts. At my age—almost 39—it&apos;s not as easy to keep putting on size and getting strong. My focus back then was always on attacking each muscle group individually. Today, I train for more of the blend of mind and body. I train so I can be strong for my family. I find myself pushing the intensity of each workout so that when I walk away, I feel pride for having pushed the envelope somehow, whether it be in strength, intensity, or mental toughness. "The world is my gym, and I don&apos;t discriminate against any methods that aid my fitness. They all have their place, and the mixture helps avoid overuse injuries and mental burnout." From a lifestyle perspective, I don&apos;t carry Tupperware around with me, and eating six meals a day isn&apos;t something I feel I must do any more. My training is also no longer exclusively at a gym. Back in the day, if my friends invited me to go mountain biking I would say, "I can&apos;t; today is leg day." Nowadays, I view all physical activity as training. I surf, mountain bike, run, lift weights, and play tennis. The world is my gym, and I don&apos;t discriminate against any methods that aid my fitness. They all have their place, and the mixture helps avoid overuse injuries and mental burnout. How have your ideas of "strong" or "in shape" changed since your early years? It all depends on your goals. When I train athletes, I know exactly what they need to succeed. For many, what they can bench doesn&apos;t mean a whole lot. But if I was looking at a bodybuilder, the numbers would certainly play a role. Being in shape has certainly changed. Back in the day it was all about who had abs and who looked good on the beach. The other day I met a guy who ran the Spartan Race Ultra Beast, which is over 26 miles of brutal obstacles on a ski mountain. This guy wasn&apos;t jacked—he didn&apos;t even look imposing—but he placed in the top five. Someone like that is what I consider "strong." "Back in the day, if my friends invited me to go mountain biking I would say, &apos;I can&apos;t; today is leg day.&apos; Nowadays, I view all physical activity as training." That requires some serious durability, which means you are physically and mentally strong to an extreme level. You are strong enough to do push-ups and rope climbs, run a marathon, handle stress, and more. Strength has many definitions, and it is certainly not limited to how much weight you can lift. It&apos;s easy for someone to read your book and think, "I thought I was strong/tough/athletic, but maybe I was wrong." Where should that person begin? Read the book with an open mind. One day out of the week—or more, if you prefer—get outdoors and train at a local playground. Push your truck through the parking lot. Farmer walk some heavy dumbbells. Find a stone and carry, press, and squat it. Don&apos;t worry about perfect sets or reps—just do the work and listen to your body. Push your mind to the next level. When you think you&apos;re done, go ahead and do a little more. Let your mind and body connect, and have fun! If you could go back and be your own coach, how would you have done things differently? I would change a few training methods, but most of all I&apos;d change my attitude. A huge mistake I made was to stop lifting weights when my sports season began. I started running 3-5 miles every other night instead. I got weaker, my knees and shins were always in pain, and I overtrained my aerobic system to the point where I detrained myself. In essence, I grew weaker and fell out of shape. I also didn&apos;t believe in myself, and the training had a big part to do with that. I would overtrain on a regular basis, to a point where I either got injured or weaker. I would then question myself and get angry with my training, wondering how I wasn&apos;t winning when I had put forth all this work. Today, I have more experience. I&apos;ve befriended Navy SEALs who have shared their mindset and training methods. I&apos;ve seen how some athletes thrive on high-volume training, and others thrive on minimalist training. I&apos;ve learned how less can be more in training, whereas back in high school, I would train 30 days in a row, and sometimes twice a day. "How hard you work is certainly a key element, but more important is how smart you train." How hard you work is certainly a key element, but more important is how smart you train. I should have trained less, both in-season and off-season. I was reading bodybuilding magazines back then, as this was the only source of information in the late 1980s and early 1990s. Those magazines always emphasized squeezing the muscle and getting the pump. There were no articles on getting strong, or tweaking bodybuilding workouts for athletics. I shouldn&apos;t have used machines; instead, I should have focused on the basic free-weight exercises. I should have found a coach or mentor who had experience in strength and conditioning. I could have continued to wrestle, but I should have taken up something like judo so I could crosstrain instead of burning out on wrestling alone. I could have trained in my own backyard using stones and chopped wood in the woods up the street. But above all else, I should have believed in myself and had fun. The fact that I went through so many setbacks is what makes me the passionate coach I am today. I learned the wrong ways by experiencing them firsthand. That was the path I was put on so I could be where I am on today, helping lifters, athletes, and coaches around the world. 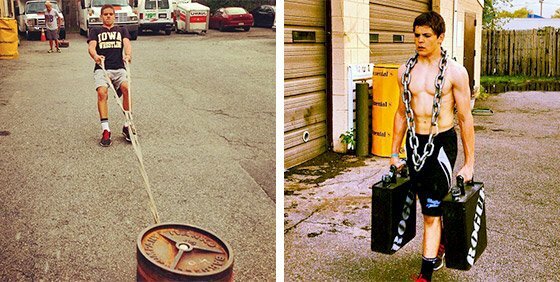 Strength coaches everywhere use weighted sled workouts to condition elite athletes because they flat-out work! Get to know this deceptively simple device that&apos;s showing up in more gyms than ever! No bodybuilder was as renowned as Arnold for his huge arms and massive delts. And no bodybuilder trained as hard.